Looking for comfortable, confident and convenient care from dentists in Louisville? You've come to the right place. From the minute you walk into our office you will notice a difference at Davis Dental Center. We care about you, your family and your friends, and we're here to help you achieve your healthiest, brightest smile. At Davis Dental Center we know every person's dental needs are unique. That's why we offer a comprehensive selection of treatment options in a comfortable, convenient atmosphere. We're confident we can provide superior dental care that no other dental office in Louisville can offer. We've developed this informational website as an extension of our practice, to serve as a convenient, educational resource for our patients. With just a few clicks, you can find helpful information about our services, credentials and office policies. You can also easily access patient forms or request an appointment with our dentists. Discover a new dental experience at Davis Dental Center! We look forward to caring for you and your family's dental needs. Davis Dental Center is a premiere dental office in Louisville Ky that is based on good moral values and the bottom line of helping our patients achieve the healthy smile they desire. We are one of the most modern offices in the Louisville area; we are a paperless and digital office, with ultra-low dose digital x-rays (bitewings, periapicals, panerox x-rays and CT scans), crowns in a day, all your implant needs and email/text messaging appointment reminders. We are a family business and treat all our patients as if they are our extended family. We pride ourselves on our proficient work and ethical decisions. Come in and see why our practice is a step above the rest. 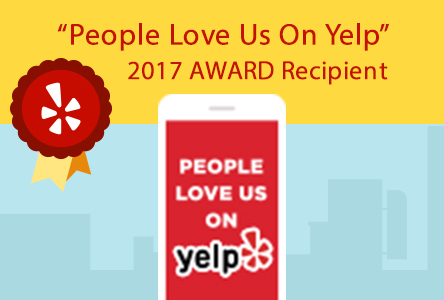 In 2013, we received Angie's List's 2013 Super Service award and in 2016, we received highest ratings with Yelp! Dr. Rachel Davis is a General Dentist practicing in all areas of dentistry, with a special interest in Implant Dentistry and full mouth rehabilitation cases. A graduate of the University of Louisville School of Dentistry, Dr. Davis began her dental career as a Dental Assistant and Lab Technician during her high school and college years before immediately transitioning to a full-time General Dentist position at a respected dental center upon graduation from dental school. Dr. Rachel loves practicing dentistry and it shows when she changes her patients lives. "Absolutely love this place! They are all so friendly and want to make you as comfortable as possible, I will be back and referring all my friends."